If you’re looking to design a modern style dining event, then the chances are that you’ll be looking for stylish, modern, unique and exciting glassware to sit on your tables. These words are exactly what our range of Luna water glasses bring to your event, available in red water glass, green water glass, blue water glass and clear water glass options for your upcoming occasion. 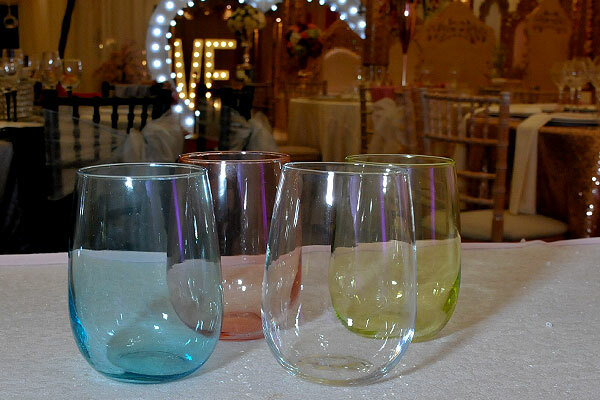 Available now in the quantities you need to cater for large events, you can hire water glasses as part of our wider event glassware rental selection which you can browse online. Contact a member of our expert sales team today who will be delighted to discuss your requirements and help you out with your order. We look forward to hearing from you.